Perhaps to remind prospective viewers that it won’t just be nervous screenwriters and stammering foley artists on stage at the Dolby Theatre this Sunday, the producers of the 86th Academy Awards have announced the full list of beautiful people who will be handing those nerds their statuettes. 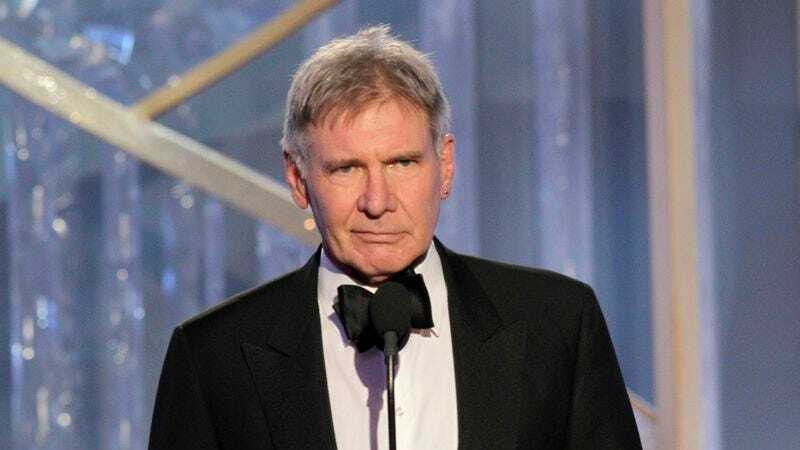 Noted cranks Harrison Ford, Bill Murray, Robert De Niro, and Daniel Day-Lewis will be among the 46 celebrities awkwardly reading from teleprompters in between endless musical numbers and very important clip reels. Some younger people have also been tapped to present, with Kristen Bell, Zac Efron, Anna Kendrick, and Emma Watson on hand to inject a little Nickelodeon Kids Choice Awards energy into the proceedings. A full list of star participants, all of whom will be fair game for host Ellen DeGeneres, is below. Fingers crossed for an “Uma/Oprah” callback involving Gabourey Sidibe and Jason Sudeikis. Amy Adams, Kristen Bell, Jessica Biel, Jim Carrey, Glenn Close, Bradley Cooper, Penélope Cruz, Benedict Cumberbatch, Viola Davis, Daniel Day-Lewis, Robert De Niro, Zac Efron, Sally Field, Harrison Ford, Jamie Foxx, Andrew Garfield, Jennifer Garner, Whoopi Goldberg, Joseph Gordon-Levitt, Anne Hathaway, Goldie Hawn, Chris Hemsworth, Kate Hudson, Samuel L. Jackson, Angelina Jolie, Michael B. Jordan, Anna Kendrick, Jennifer Lawrence, Matthew McConaughey, Ewan McGregor, Bill Murray , Kim Novak, Tyler Perry, Brad Pitt, Sidney Poitier, Gabourey Sidibe, Will Smith, Kevin Spacey, Jason Sudeikis, Channing Tatum, Charlize Theron, John Travolta, Christoph Waltz, Kerry Washington, Emma Watson, and Naomi Watts.